So, you’re selling your home. With a trusted realtor, the process goes relatively smoothly. But how can you help yourself out a little? Maybe make a little more money to put toward your next home? Here are a few tips to add value to your home before you sell. 1. Spruce up the kitchen. It’s important to upgrade “the heart of the home,” and most buyers see the kitchen as the centerpiece of everything in the house. 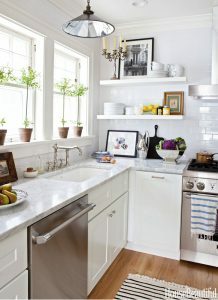 Experts say you can recoup 60%-120% of an investment in a kitchen remodel. 2. Add a bathroom (or two). Buyers tend to prefer homes with a matching number of bedrooms and bathrooms. How much of your investment will be recouped? 80%-130%, experts say. 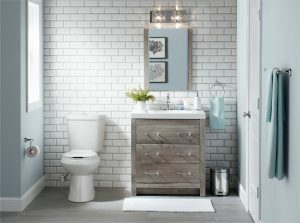 If you can’t add an entire room, update the existing bathrooms in the home: re-grout tiles, add a modern sink, and redecorate with fresh paint, clean surfaces, and updated mirrors. 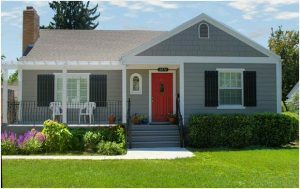 That first impression is arguably the most important factor in selling your home. Does your home appear warm and inviting? Is your yard clean? How eye-catching is your home compared to others in your neighborhood? Do you have any advice for adding value to your home? If so, please share with us! For more tips on sprucing up your home, visit our Pinterest page here.